The second book we will be launching at this year’s festival is the second part of Gregory Stevens Cox’s trilogy about Victor Hugo’s exile in the Channel Islands – Victor Hugo Explores Guernsey. It’s only three weeks away now, and tickets are selling fast – so book your place soon – using this link to the Guernsey Literary Festival website. In the 1860s Victor Hugo, following five well-established tourist routes, made more than 200 carriage drives exploring Guernsey’s country parishes. His early explorations informed his essay L’Archipel de la Manche – intended as an introduction to The Toilers of the Sea. Victor Hugo Explores Guernsey (extensively illustrated with images of the period) follows the routes that Hugo took, the diversions he made, and relates them to his writings..
Gregory Stevens Cox has spent over fifty years researching Victor Hugo’s life in the Channel Islands. He has written five monographs on Victor Hugo’s exile and was one of the founders of the Victor Hugo in Guernsey Society. Victor Hugo Explores Guernsey, his latest work, is part of a trilogy published by Blue Ormer which started with Victor Hugo’s St Peter Port (2018) and will be completed with Victor Hugo and the Sea, to be launched at the Victor Hugo in Guernsey Society conference in June 2019. This year’s programme is now fully announced and the brochures have hit doorsteps of everyone on the island. We are delighted to be supporting the festival again this year – with the launch of two new books. The first of these is: Mervyn Peake: Son of Sark, by Steve Foote. Mervyn Peake (1911–1968), is widely considered to be one of the twentieth century’s most original and innovative novelists, poets and artists. He is best known for the Gormenghast trilogy. Peake lived in Sark during two formative stages of his life: during the 1930s as a single man, where he joined an artists’ colony known as The Sark Group and between 1947 and 1950 when he returned to the island with his young family. Mervyn Peake: Son of Sark is intended as a guide to Sark for those familiar with the work of Mervyn Peake, and an introduction to Peake’s work for those familiar with the island. Order “Genius Friend” – Edward Chaney’s biography of G.B. Edwards – and get a copy of “The Trail of Ebenezer Le Page” (normal price £3.99) absolutely free! Edward Chaney became friends with Gerald Edwards when he was living in Weymouth in the 1970s, and encouraged him to finish writing The Book of Ebenezer Le Page. He was then instrumental in persuading Hamish Hamilton to publish it in 1981. In 2015, he published “Genius Friend: G.B. Edwards and The Book of Ebenezer Le Page” – the story of Gerald’s life. “The Trail of Ebenezer Le Page” is a guide to the places in Guernsey associated with G.B. Edwards and those that feature in his novel. A great Christmas offer for fans of Ebenezer Le Page! We are delighted to announce the launch of a new title in November: Trevor Cooper’s “Mansion, Manor and Merchant Houses: Guernsey architecture and social heritage”. It features the fascinating stories behind many of the island’s finest residences. The book is a beautifully-produced hardback book, extensively illustrated throughout with colour photos of the houses featured, with all the proceeds going to local charities. 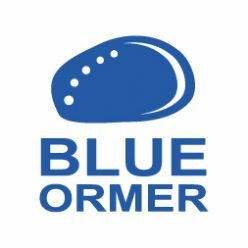 Full details of book launch will follow – but it is available to order now from blueormer.co.uk. For more details of the book – see the dedicated page: Mansion, Manor and Merchant Houses. Our latest book is a new guide to St Peter Port as seen through the eyes of Victor Hugo from Guernsey’s leading Hugo scholar, Gregory Stevens Cox. It takes the reader on a guided tour of St Peter Port condensing fifty years of research into the time that the great French poet spent living in exile on the island of Guernsey. Take a tour of the island’s capital highlighting the shops and businesses Hugo frequented, as well as stories and anecdotes from the time he spent in the island. Extensively illustrated with photographs new and old, showing how little the town has changed since the period of Hugo’s residence (1855-70). Quelle brochette! Et je ne parle pas pour moi! Le livre de Gregory est devenu mon handbook companion in St Peter Port! For more details, see our dedicated page: Victor Hugo’s St Peter Port. We are looking forward to Arts Seafront Sunday on 10 June. Please come and visit our expanded stall this year – including not just our latest range of books about the Channel Islands – we will also be joined by Guernsey Walking Tours, the Guernsey Society, Guernsey Ancestry and Guernsey Art Workshops. So if you are interested in books, walking tours, researching your family history, art workshops – or Guernsey heritage in general – please come and pay us a visit. For more details about the day see Arts Seafront Sunday. 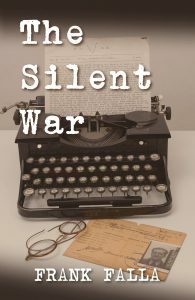 Our guided walk around Herm with Paul Sherman as part of the Guernsey Literary Festival is now sold out. However, we may run further events during the summer if there is sufficient interest. If you would like to register your interest for a future walk, then please Contact Us. 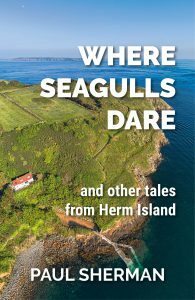 For more details about Paul’s collection of short stories set in Herm – see our Where Seagulls Dare page. 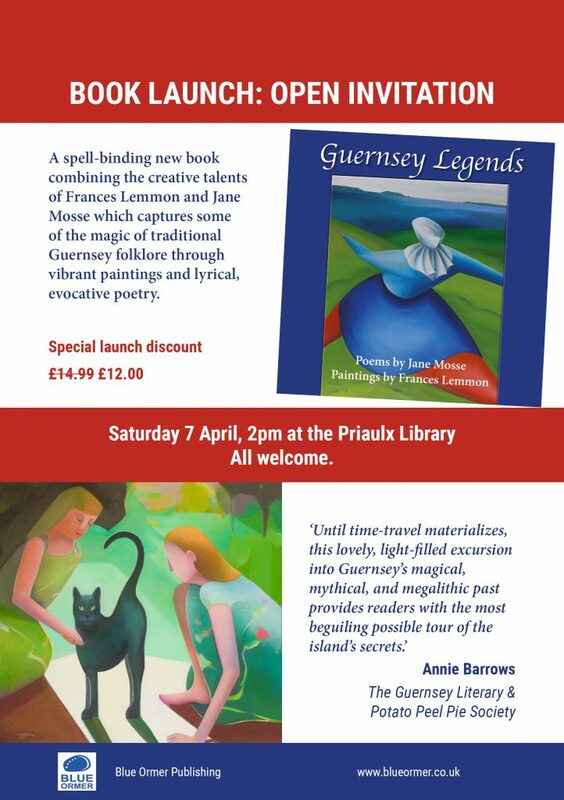 You are cordially invited to the official launch of “Guernsey Legends” by Jane Mosse and Frances Lemmon. Come along and learn more about Guernsey Folklore and the poetry and paintings that these stories inspired. You can learn more about the book on our Guernsey Legends page.